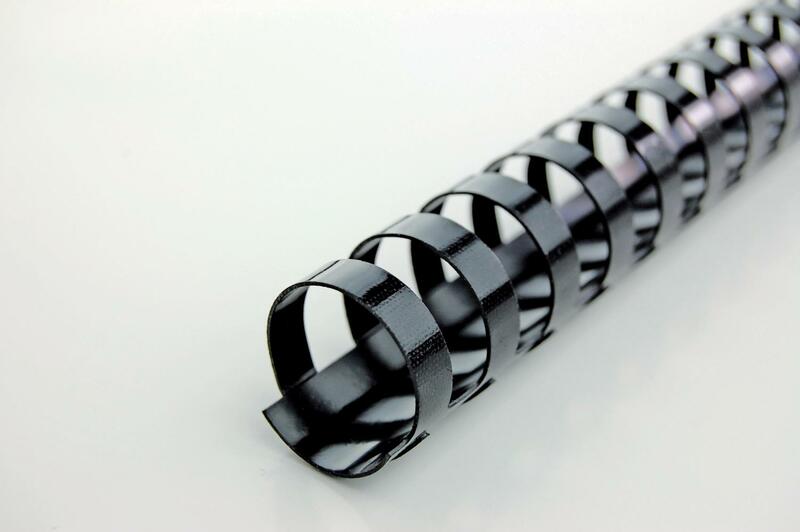 Create stylish bound documents and reports with this pack of flexible and robust GBC binding combs. Made from high quality PVC resins that are resistant to chips, scratches and discolouration, these combs allow pages within the document to lie flat for photocopying and note taking. These 19mm combs are capable of binding up to 165 A4 sheets. This pack contains 100 black combs.